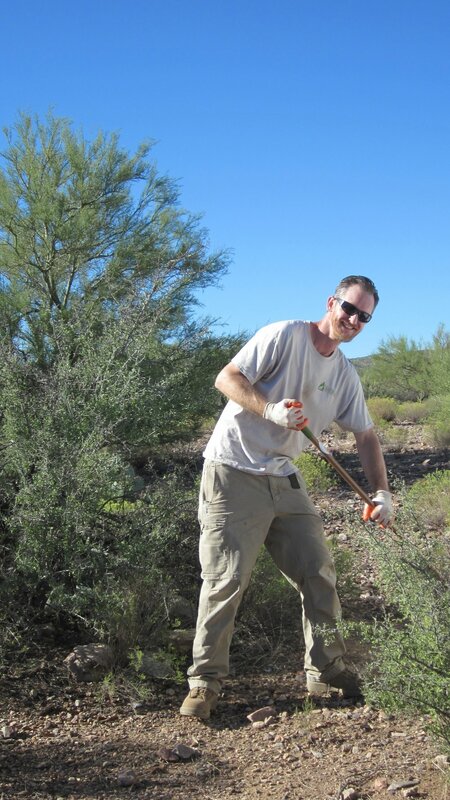 On Saturday, October 1st, 2016, we partnered with Footprints Matter To Us to support the town of Superior in a Community Desert Cleanup Event with local partners Resolution Copper Mining and Superior Chamber of Commerce. We also had the pleasure of working with the Tonto National Forest - Globe District on this event. The project was a huge success & we couldn’t be happier with the results! 60+ hardworking volunteers donated their time to restore this beautiful, natural area. 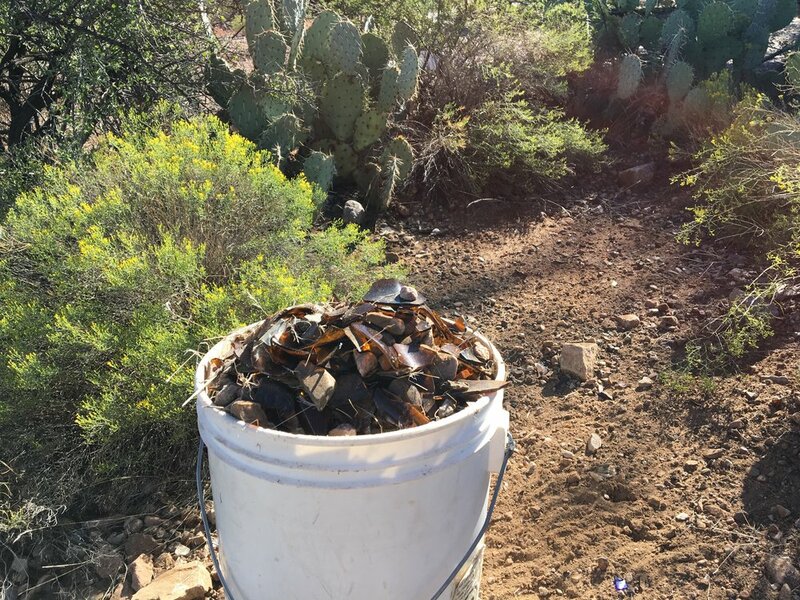 Sites were heavily littered with scattered trash, landscape and household construction waste, concrete block, 100+ tires, lots of broken glass, and much more. All of the tires were placed in a dedicated tire dumpster provided by Pinal County. We removed 25 tons of trash! That's 50,000 pounds of trash removed from this beautiful, natural area. WOW! We had several volunteers under the age of 18 years old volunteer with us. Our hands-on service learning experiences will stay with youth long after any lecture we could give. Arizona Trail Association, Empire Cat, The Home Depot in Mesa off US60 & Crismon, ICON Vehicle Dynamics, Imerys, Omya, Real Purity, Resolution Copper, Right Away Disposal, Superior Arizona Chamber, U.S. Forest Service - Tonto National Forest, Globe District, Arizona Game & Fish Department - Mesa Region, Legends of Superior Trail, Oddonetto Construction Inc., Superior Optimist Club, Mayor Mila Besich-Lira, Superior Police Department, Superior Fire Department, Superior Unified School District, the Town of Superior, Pinal County Road Maintenance, Superstition Area Land Trust, local rangers, and everyone else who came out and supported the event. Thank you to Judd Bowers and his Taxi Service for donating and delivering cold water to all of the volunteers and providing a shuttle for volunteers. Special thanks to Tom Hawk, Mike Chism, and the crew at Imerys for continually going above and beyond to provide support and assistance. You guys are awesome and it's our pleasure to work with you!! !